I saw this beautiful room at the Metropolitan Museum yesterday. 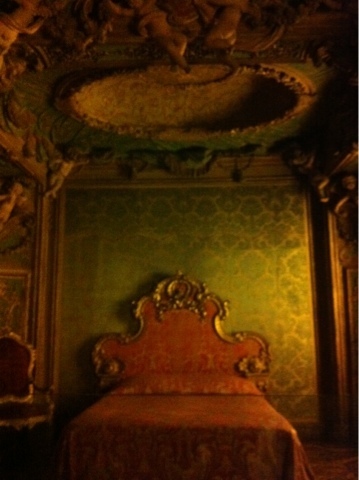 This exhibit showcases a fully decorated bedroom from floor to ceiling from Sagredo Palace in Venice. It is embellished with many intricate decorations. The Met is always a wonderful place to visit, you'll never get tired of seeing these amazing exhibits full of design inspirations from history.